Treat yourself to ultimate luxury. Beautiful silk and lace nightgown made of luxury quality 100% silk. Limited quantity will be made. 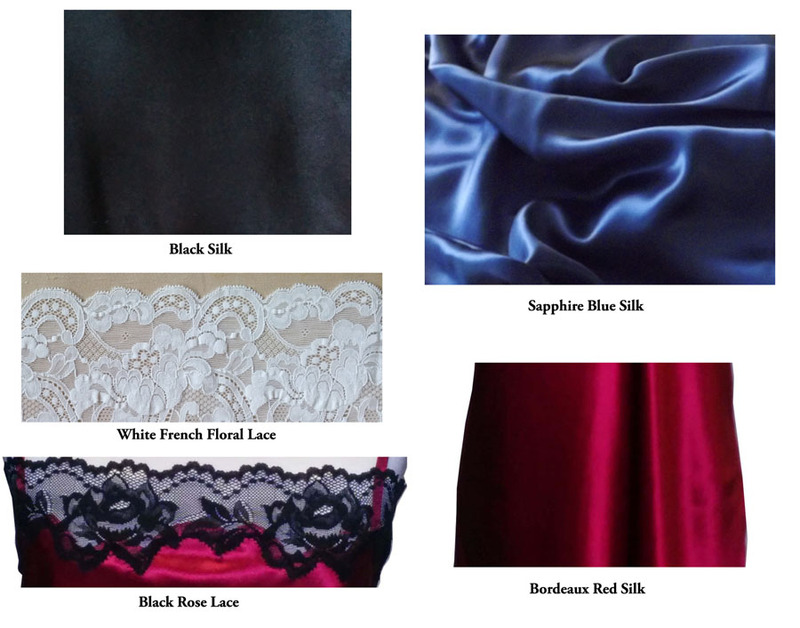 You get to choose the color of silk and the lace you would like in your luxuriously sensuous silk nightgown. Each one is carefully made to order and takes about 1-2 weeks from confirmation of order to shipping. This exquisitely Elegant Silk and Lace Nightgown is made in our New York Studio. Imagine sleeping in Ultimate Luxury on that special occasion! Or if you prefer, every night! Nightgown is 100% Silk luxury quality Charmuese with exceptional quality Lace trim that is soft to the touch. It is expertly crafted and made one at a time. Each item is made to order and can be custom made to your size and color needs. Special orders/custom-made/made to order take 4-6 weeks depending on how busy the workroom is at the time or order. Special orders/custom-made/made to order are not refundable nor exchangeable as they are made to customer specifications. Please give us your height, bust, bra size, waist, hip, and upper arm measurements (for robe) in the comments section of the order form when ordering. Please click on pictures for larger views.